This small island is located a bit south of Windy Bay on Lyell Island. The Passing Cloud anchored here while we visited the Watchmen. 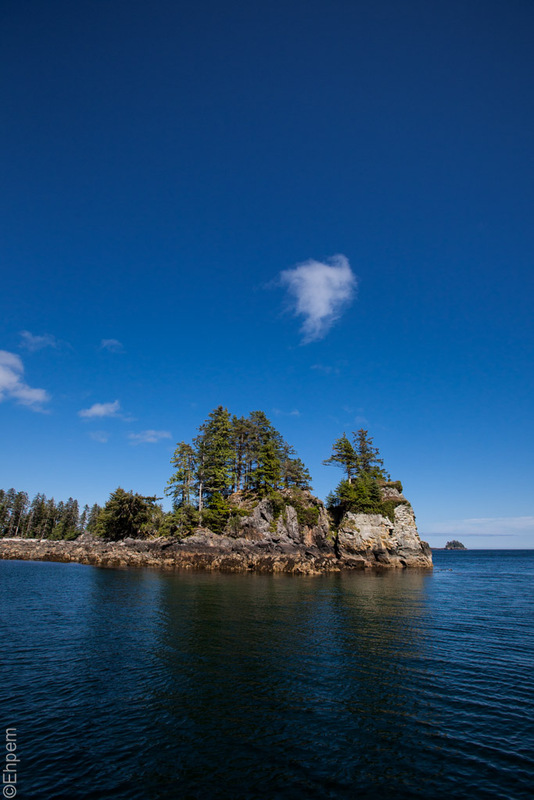 The Haida name for this location translates as Blood Fort, and oral history attests to why it is so named. So, you photographed a passing cloud from the Passing Cloud…I like the symmetry of that. Hi Melinda – there is some symmetry. Now, just so you know, that even though the ride to this location was quite lumpy and were thrown around in the zodiac a bit, nobody ended up bleeding. Which would have been too symmetrical for my liking. Yes, that would have been a little too symmetrical!